Former World Heavyweight Champion Dolph Ziggler is in every sense of the word, a WWE veteran. Throughout his career, he has made sure to be among the top few stars in WWE. However, his push from WWE's creative division has been anything except consistent. While he has won many Championships over the course of his career, none of his reigns were particularly significant. Every time it looked like Dolph Ziggler might have broken out, the repetitive booking has seen him sink back into the same role. 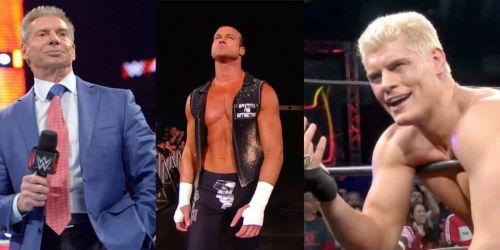 There is now a recurring joke on the internet, that Dolph Ziggler is the first person to feud with every up and coming star who make their debut on the main roster. This is partially true. For the past decade, Ziggler has been the work-horse of WWE and has hardly ever had a week off. The audience no longer takes Ziggler seriously although he is an incredibly gifted athlete. Now, recently, Ziggler has talked about taking a hiatus from WWE. In such a situation, he may not rejoin the company any time soon. In fact, there is an increasing surge of opinion, that Ziggler's time with WWE is done, and he might be leaving for pastures new. With that in mind, let's take a look at 5 reasons why Dolph Ziggler might be leaving WWE. Although this seems a bit harsh, Dolph Ziggler's act in WWE has gone a bit stale. The self-proclaimed 'Show off' has been in WWE too long, doing the same things over and over again. The audience has seen the 'Show off' come along into the ring and perform and perform to entertain them. They can tell when he will pull which move. In the Sports Entertainment business, which WWE is in, this is a big NO. Characters have to remain fresh. Heel turns and face turns have to mean something. Otherwise, the entire point is null and void. Ziggler needs a fresh character, and WWE seems to lack the creative ability at the moment, or at least the intent, to hand him one.